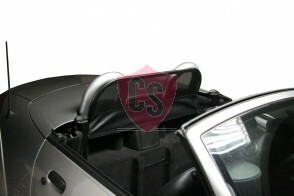 All our wind blockers are tailor made for your convertible, our premium quality deflectors guarantee a perfect fit. 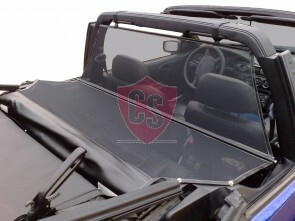 The mesh in the steel frame will resolve in a wind turbulence reduction of 80% while driving with the top down. 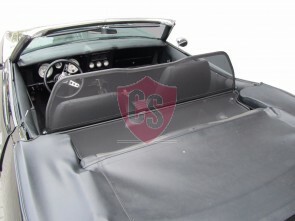 When the convertible windscreen is installed the roof won’t be disturbed while opening or closing. 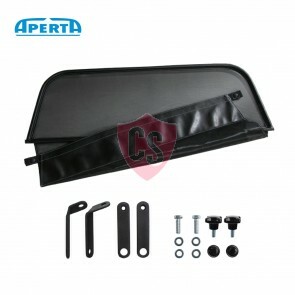 At Cabrio Supply we offer genuine parts and the Aperta wind deflector, a high end aftermarket wind deflector that is based on the original screen. 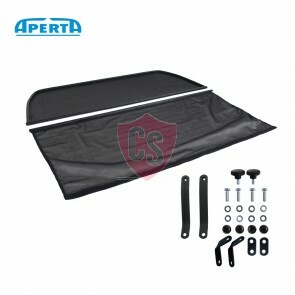 The fabrics for the Aperta windbreaker is special tested by all experts and the mesh is the least sensitive for any rips. 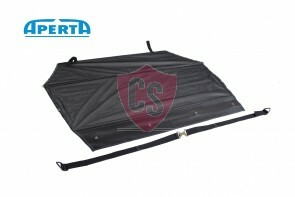 If the wind breaker is uninstalled it is important that you cover it correctly. 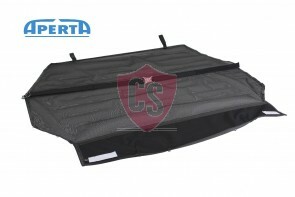 A storage bag is the best solution to keep your wind deflector dust and damage free, the mesh will stay clean. 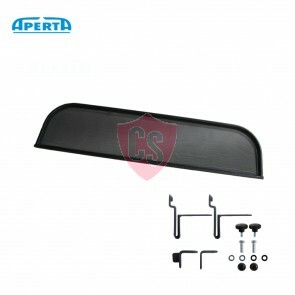 What is a wind deflector? 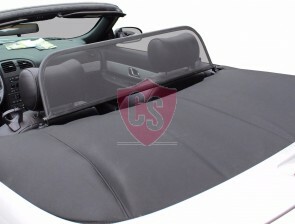 A convertible wind deflector is a windscreen that is attached behind the driver’s seat to prevent turbulence while you are driving with the top down. 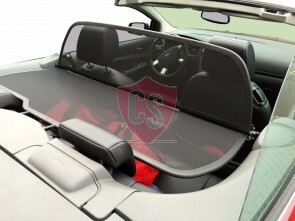 When a wind deflector is attached to a convertible, more of the wind is diverted over the back of the vehicle, instead of blowing through the cabin. 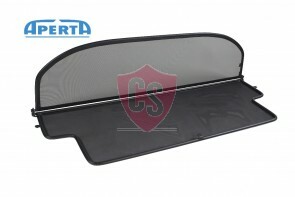 The wind deflector improves comfort for drivers and passengers by providing them with effective protection from draughts, even while travelling at high speeds. 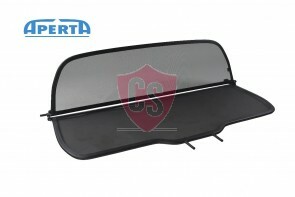 How does a convertible wind deflector work? 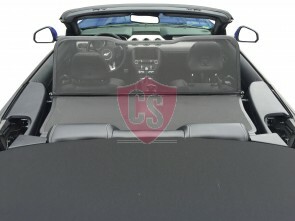 When you drive a convertible with the top down, a low pressure area forms inside the cockpit, while high air pressure remains outside. 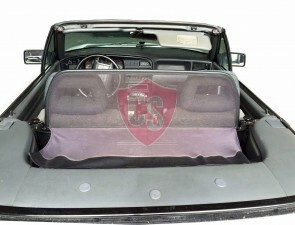 This air pressure difference then equalizes, causing hair to blow forward (not backward) whenever the top down is down while driving. 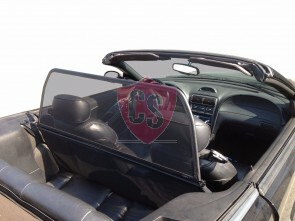 A convertible windscreen reduces air draught and turbulence in the passenger compartment. This way it retains heat inside the cockpit and improves driving comfort. 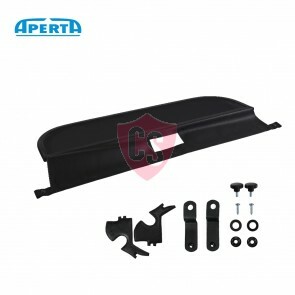 The opening and closing of the hood is not effect by the wind deflector. 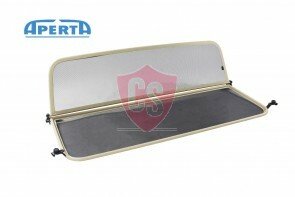 With a wind deflector you can lengthen your season!